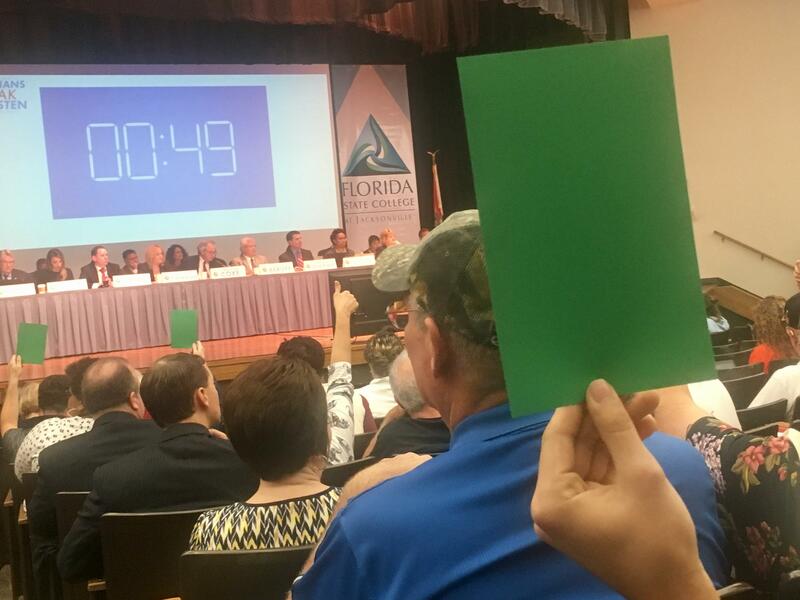 Audience members held up green cards when they agreed with ideas presented and red cards when they disagreed at Thursday's Constitutional Revision Committee meeting. Abortion laws, felon voting rights and open elections are all issues Jacksonville residents would like to see addressed in the Florida Constitution. That’s what they told the state’s Constitutional Revision Committee Thursday at Florida State College at Jacksonville. Every 20 years, a state constitutional revision commission meets to propose changes to the document after holding public hearings across the state. This year marks the third time this commission has assembled. In Jacksonville, several people asked for felons to have their voting rights restored after serving their sentence. Others spoke for or against requiring a waiting period before a woman can have an abortion. Leighann Gustavus testified in favor of open primary elections. She’s registered as an independent, so she couldn’t vote in the presidential Democratic or Republican primaries. She came with several others who spoke about the same issue. Meanwhile, 24-year-old FSCJ student Adrian Miller asked for easier access to college. He said that could mean more financial aid or free tuition. After his comments, Miller was approached by commissioner Attorney General Pam Bondi. “She was saying there was a commissioner up there and there may be a position available for me,” he said. Other people spoke about gun laws. One man said he’d like his daughters to be able to carry a gun on their college campuses. 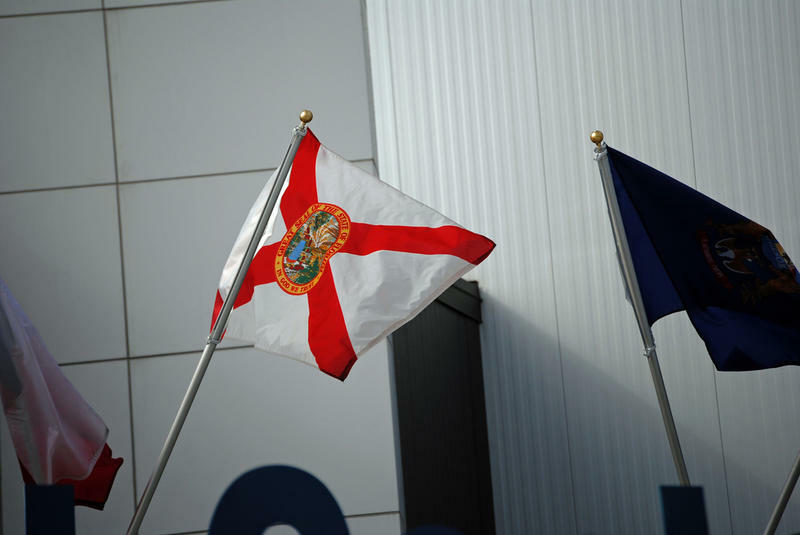 The commission is made up of 37 members, mostly appointed by Governor Rick Scott and Republican legislative leaders. There are also members three appointed by Florida Supreme Court Chief Justice Jorge Labarga. Constitutional amendments proposed by the commission will appear on state ballots next year, and 60 percent of voters must approve them. 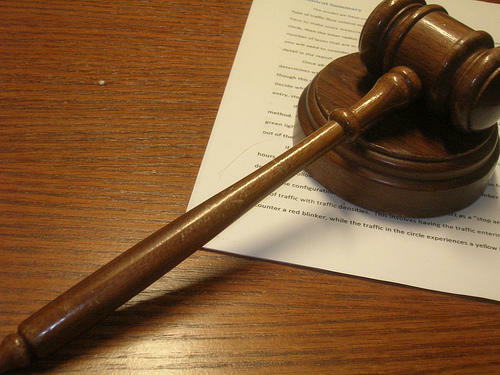 TALLAHASSEE — Individuals who are voluntarily being questioned by authorities have to be told when a lawyer is present, the Florida Supreme Court decided on Thursday. Anyone with ideas for how to change Florida’s Constitution is invited to speak up Thursday. The state Constitutional Revision Commission is stopping in Jacksonville on its listening tour, and the ideas it hears could appear on a ballot next year.